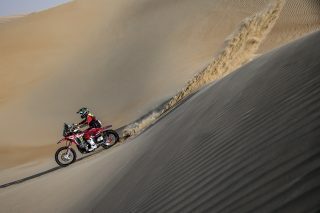 The heat and wind were once again the key climatic elements of stage two of the Abu Dhabi Desert Challenge. 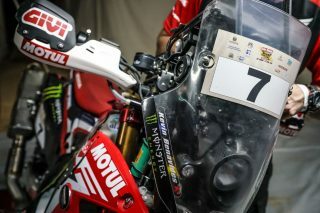 The 222 kilometres of special timed stage proved to be a physical test for the riders once more. 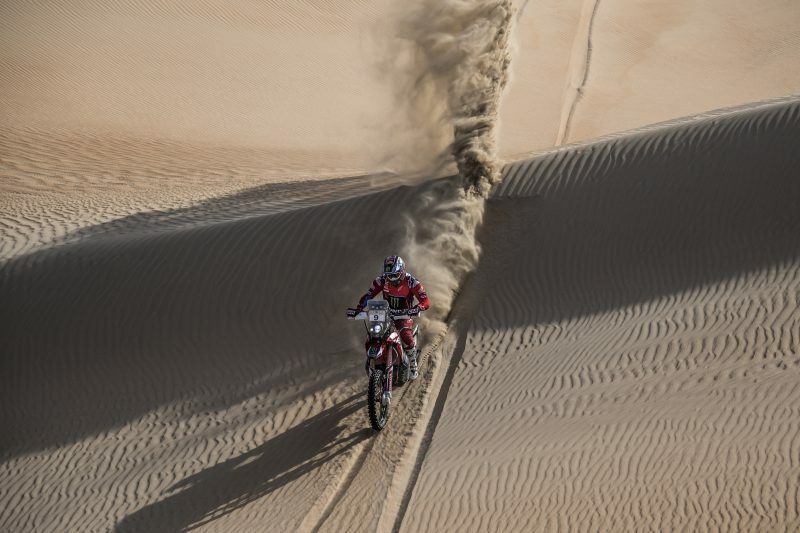 Yet in spite of the soft dunes and scorching temperatures on the course, riders finished the day reporting back good sensations. 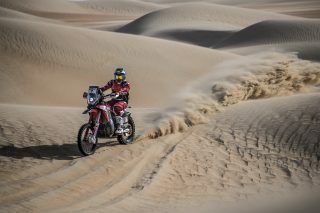 José Ignacio Cornejo set off at a swift pace today, catching the two riders ahead before finishing amongst the front-runners at the end of the special. 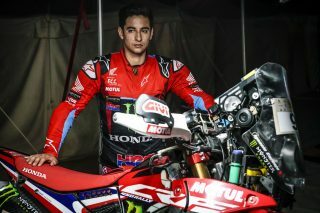 The Chilean rider pulled off an important stage victory, his second in the World Championship. 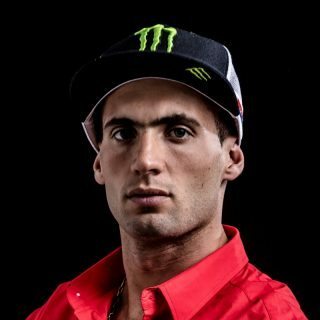 ‘Nacho’ now lies in second in the general standings, less than a minute behind the leader. 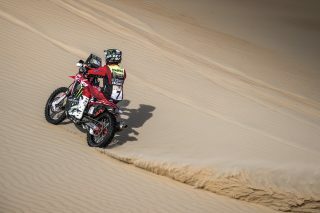 Barreda was today able to resume the race after yesterday’s mechanical hitch. 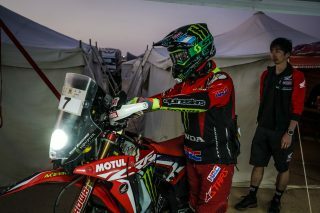 The Spanish rider was surprised to arrive at refuelling with the best provisional time. He would have been the best on the day too had it not been for a fall in the second part of the special which saw the rider drop precious seconds. 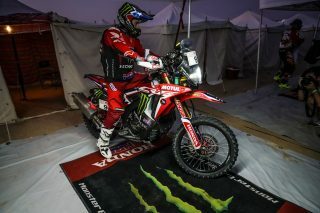 He did, however, finish the stage in second place behind his team-mate. 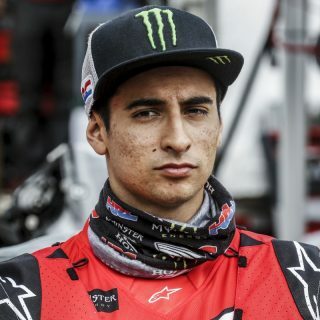 Meanwhile, Kevin Benavides also suffered the severity of this second stage, where a fall forced the Argentine to take the final kilometres at a more cautious pace. 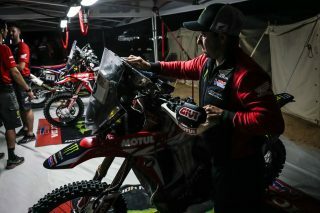 Tomorrow he starts out from eighth position and will be looking to pull back some of the time lost today. 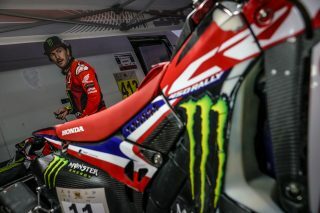 Tomorrow, Tuesday, sees the third stage, the rally’s halfway point, which will feature the longest special stage that riders will have to face. This will include almost 300 kilometres against the clock, out of a total of 434 before the day is through. 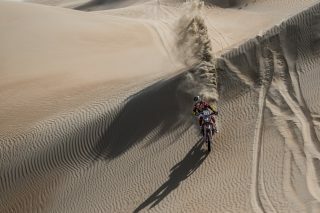 The stage was practically like yesterday, very windy and very soft dunes and was quite a difficult ride. I was doing fine until kilometre 100 where I had a fall - nothing spectacular - but I fell on my right side, which I hurt and I began to feel a lot of pain. From then on, I just tried to make it to the end of the special, easing up the pace. I was feeling pretty good. It was an important, yet tough day for me. 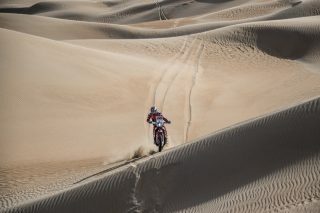 In the earlier part I didn’t feel so confident, but things improved and I was able to reach a good race pace. 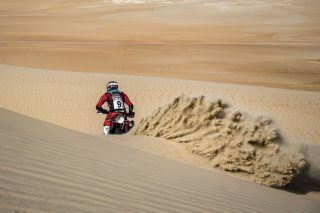 Pity about the final part, where I got stuck in a dune and my ribs were hurting. I decided to slow down a bit to make it safely to the finish-line. Anyway, I am pleased with how I led the day in spite of the difficulties. 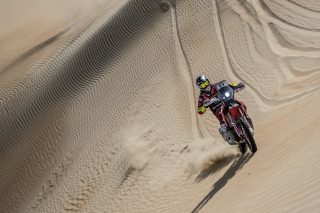 Today I improved the pace with the bike in the dunes, I went a lot faster and I pulled back a bit of time before the refuelling. In the second part I was pushing harder and I was able to catch up with the front-runners. 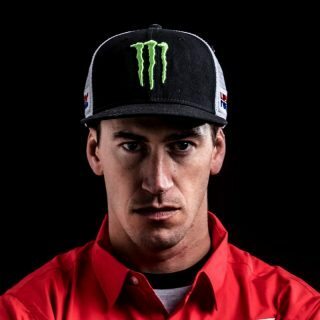 Furthermore, I won the stage, so I am very happy, and the intention from now on is to continue along the same track and try to hold onto the second position in the general standings.